A beautiful run of seven antique porcelain apothecary jars. 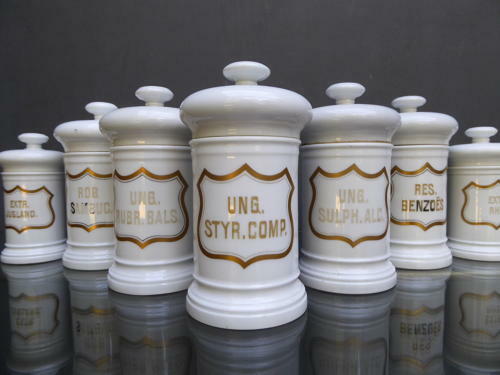 A fabulous run of glazed white chemist jars, five larger & two smaller, all with their original removable lids & adorned with painted gilt preparation labels. Wonerful to find a run like this which remain together! Price is for the seven.